Juul Labs has been awarded a restraining order in a US court against 30 Chinese companies selling fake versions of its e-cigarettes on eBay. The Federal Court in the Eastern District of Virginia granted the Company a temporary restraining order and froze the PayPal accounts of the companies, which Juul says are “selling fake product without regulatory oversight or the same stringent age verification processes” that the company employs. 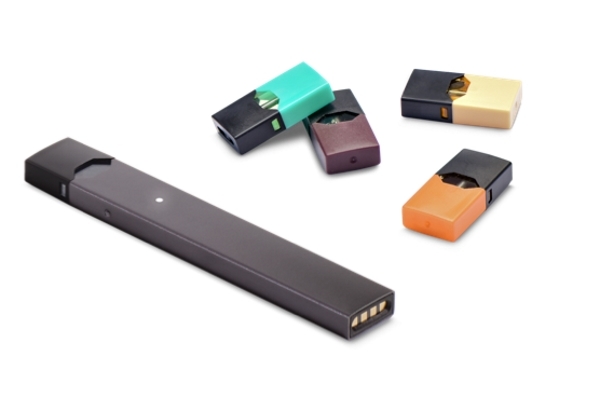 It has accused the companies of selling products bearing Juul trademarks, including vaporiser devices and nicotine pods, which could endanger purchasers because their sourcing and ingredients are unknown. There are fears that counterfeit items could use substandard batteries at risk of catching fire, and toxic chemicals being included in the nicotine-laden liquid. “The scale of counterfeit Juul products is alarming,” said the company’s chief executive Kevin Burns in a statement. “These counterfeiters also drive a black market where there is no age verification.” The latter is a particularly sensitive subject for Juul, which has been under fire for its own age-verification approach and recently beefed up its processes. “The temporary restraining order is an important first step, and we will take action against counterfeiters to protect consumers,” added Burns. The burgeoning popularity of nicotine vaporisers – particularly among younger people – is driving counterfeiters to cash in on that success by producing almost identical copies of the products, and claiming they are the genuine article. Many of those end up as product listings on eBay and Amazon, and Juul says it has managed to take down 16,000 listings from unauthorised dealers on those two platforms since January. Juul’s rapid emergence as the leading e-cigarette maker in the US – so popular that its brand is now used as a verb, i.e. to ‘juul’ – comes on the back of a massive acceleration in sales to almost $1bn in the year to mid-June that have given it a 68 per cent market share, according to a CNBC report. That growth has made it an obvious target for counterfeiters, although other e-cigarette manufacturers, including Ploom (now owned by Japan Tobacco International) and Pax Labs, have also reportedly been hit hard.